It’s been ten years since the Decibel Festival (read here other news) first hit the airwaves. In the last decade, what was intended to be a festival to help Sean Horton’s city club scene has become a globally recognised electronic music event. Decibel is staged in Seattle, Washington during the last week of September with more than 100 of the top artists in the business show up to entertain an eager audience. Pezzner, Lusine, Kid Smpl… those are the acts that grace the stage in Seattle. Sean Horton started the festival in 2004 after exuberant reaction to the Dreaming In Stereo parties. “There wasn’t much really going on at all in the way of electronic music events”, he told Electronic Beats. “ The people that were coming out were basically thanking me and saying there was no other way for them to experience this music live. Those people are still what I’d consider to be our core audience today”. 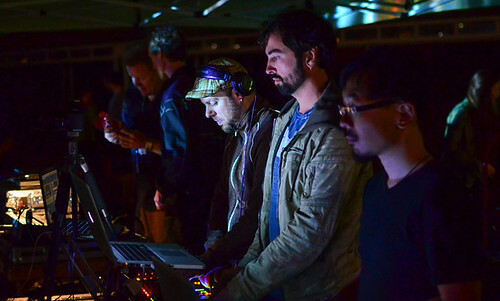 Decibel moved from being called the Northwest Electronic Music Festival to its current moniker and according to Horton that title helped the festival grow leaps and bounds. Decibel is a big attraction for club goers. What a way to enjoy a great afternoon with the family!